Talcum powder refers to the refined, powdery form of talc, the softest mineral ever known to man. Because of its natural smoothness, absorbent properties, as well as safety, this product has been beneficial to humanity since the times of ancient Egypt. Where does Talc come from? Talc is mined from rock deposits that are found in many places all over the world. Talc is made of three main elements: Magnesium, oxygen, and silicon. In its powder form, talc can absorb moisture efficiently, in addition to helping reduce friction. This means that it is beneficial in helping keep the skin dry as well as preventing rashes. Talcum powder is, therefore, a very useful ingredient in cosmetics products, including baby powder as well as adult facial and body powders. It is also found in many other consumer goods. What are some of the other Benefits of Talcum Powder? People who exercise or run during summer experience chafing on their feet or inner thighs. Applying a little amount of this product to the affected area will help remove the chafing. In addition, sprinkling a little of this powder before starting your exercise will help eliminate friction, leading to a smooth skin that is free of pain, in addition to reducing your risk of sores. This type of powder can be used as shampoo especially during summer when hair tends to get more greasy and oily. Just sprinkle talcum powder onto your comb and run it through your hair to the roots. Your hair will look freshly washed and smell great. Applying talcum powder before waxing is known to help reduce waxing pain. Because the powder absorbs moisture, it allows the wax to work better. The product can also act as a moisturizer, thus helping sooth extra-dry skin. Rubbing in a little of this powder on the areas of your skin that are irritated will help calm it. Dusting your eyelashes using talcum powder before applying mascara will help thicken them.It essentially plays the same role as a primer, thus helping give you fuller, longer –looking eyelashes. Applying talcum powder to areas of your skin that are covered in the sand will contribute to remove it quickly. This is because the oil, water, and sweat that make sand to stick are quite easily absorbed by talcum powder. In its natural form, some talc is known to contain asbestos, a substance that causes cancers in and around the lungs if inhaled. However, since the 1970s, all talcum products used in homes within the US have been asbestos –free. 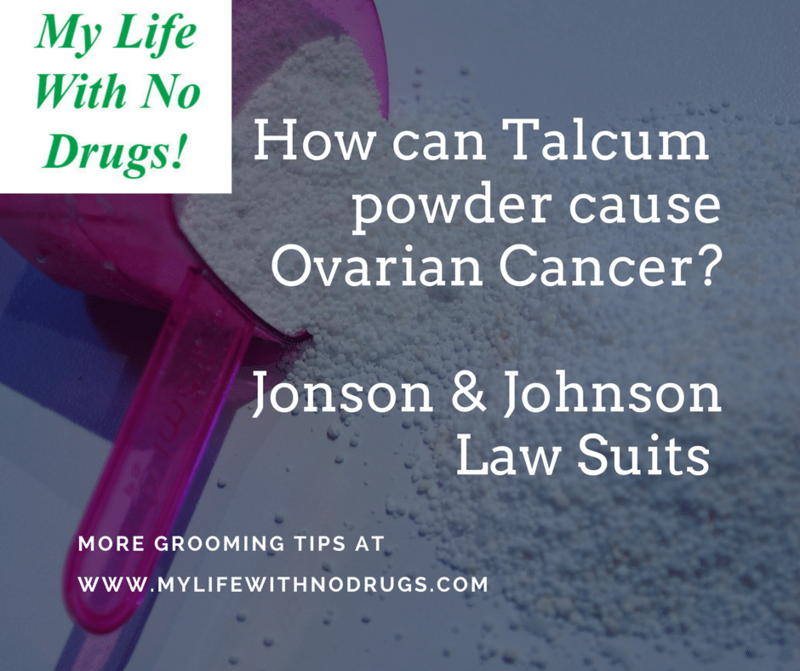 However, there exists a significant concern about a possible link between regular use of talcum powder by women in their genital areas and increased risk of ovarian cancer. There is only one plausible mechanism by which talcum powder can cause cancer. This is by triggering long-term inflammation. However, since ovarian cancer is not common, the use of talcum powder is only associated with a small risk of developing this disease compared to other causes, including genetic abnormalities and hormone replacement therapy (HRT). Some studies have shown that women who regularly use talcum powder on their genital areas have up to 40 % higher risk of developing ovarian cancer. However, other studies have shown no link at all or only a weak link between ovarian cancer and talcum powder. Some cancer lawsuits against Johnson and Johnson have been filed since 2014 when the first verdict was handed out. One of the most recent cases was filed at the St. Louis Circuit Court by lawyers representing the son of Jacqueline Fox, who claims that the long term use of Johnson & Johnson baby powder and other products from the same company caused the death of his mother as a result of ovarian cancer. The court’s jury concluded that Johnson & Johnson failed to warn the public and tried to cover up. 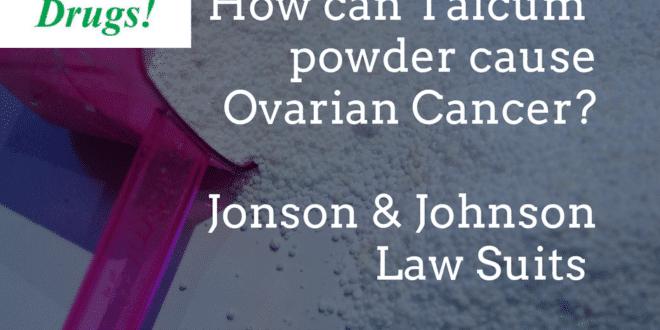 One of the lawyers representing Fox said that all the company’s internal documents showed that they knew talc caused ovarian cancer, but actively undertook to hide the truth from the government regulators as well as the public. The jury, therefore, awarded Jacqueline Fox $ 72million in damages. However, Johnson & Jonson plan to appeal the court’s decision. Wow, I didn’t even know Talc had these types of benefits for the skin, however I see how it could be damaging if used in the genital area regularly. Great post. I have been using talc powder before many special dates to feel fresh and reducing chaffing as well as prevent sweating unnecessarily. I actually didi not know that it had any negative effects. I am indeed going to make some changes. Thank you for the detailed post. There have been a number of cases brought forth against J&J and their talcum powder products. It’s amazing how a product this prevalent is now experiencing issues. It seems everyone has been using this for years and we’re just now discovering the possible side effects. Makes you wonder what else might hurt us down the road. Yes, I was shocked too when I read an article. That is why I decided to publish it. Vaccines are more dangerous than powder. Ask a pharmacist what all is in a vaccine, that’s what you should fear. When the masses take away choice because of fear mongering. Back to the article, states that talc is asbestos free, and yet where it should cause problem, it has not been found, due to lack of filtering asbestos out. I’m curious as to what other products have been used that may have helped cause cancer. Beauty products are full of toxins, nobody fears them, why? Medications are made from substances an educated adult can hardly pronounce and know what it is.